2015 SUBARU OUTBACK 2.5i! CRYSTAL WHITE PEARL..
** ONE OWNER / NO ACCIDENTS **BACKUP CAMERA, BLUE-TOOTH, CRUISE CONTROL! 2.5-liter I4 / Automatic transmission w/ O/D. Est. MPG 25 city / 33 hwy. 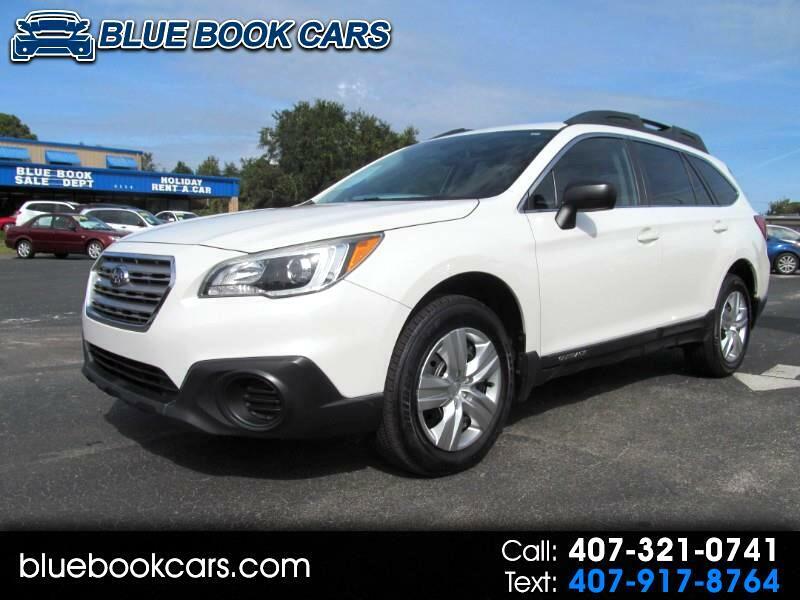 This 2015 Subaru Outback 2.5i has what your looking for - Bluetooth - USB and Auxiliary inputs - Power windows, locks, mirrors - Cruise control - Side airbags - Telescopic steering wheel - Seat comfort and support, plus much more. Visit ** bluebookcars.com ** for our complete inventory... BUY DIRECT-BUY BLUE BOOK! INTERNET PRICING BRING COPY OF AD AT TIME OF SALE! Welcome to Blue Book Cars, serving Central Florida for over 43 years! Please view our large inventory and other services available at bluebookcars.com or call 407-321-0741. We have over 20 top lenders ready to compete for your loan, serving ALL credit needs including first time buyers, or those with limited or no credit experience. If this is not exactly what your looking for, ask about our special purchase program through the auction, and corporate sales that lets you hand pick your new used car at Blue Book prices! We have worked with schools, churches, large and small fleets, businesses, missionaries and our favorite local clientele!